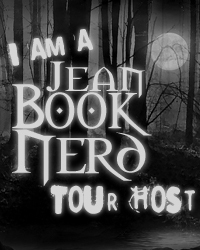 Author of a bunch of demented books, including PRESSURE, DWELLER, A BAD DAY FOR VOODOO, WOLF HUNT, SINGLE WHITE PSYCHOPATH SEEKS SAME, BENJAMIN'S PARASITE, FANGBOY, THE SINISTER MR. CORPSE, and lots of others. Three-time Bram Stoker Award finalist. Three-time Bram Stoker Award loser. Four-time Bram Stoker Award Master of Ceremonies. If there was, it's before I can remember. There literally isn't a time when I can recall not wanting to be a writer. Conceivably, my mom or dad could've been reading me The Little Engine That Could when I was two and I thought "Eureka! That's what I want to do with my life! Not be a train with admirable willpower--be the guy who writes books about the train!" But as far as I know, it's an urge that's always been there. Because otherwise the storytellers would be walking the streets with nothing to do, and there are a lot of these people that you don't want to meet in a dark alley. It's in society's best interest to keep them behind their keyboards. My favorite horror novel is Robert McCammon's Swan Song, an epic post-apocalyptic tale in the tradition of The Stand, but even better. I loved every character in that book. Wait, let me clarify: I loved reading about every character in that book--it's got some truly nasty villains. This may be cheating a bit, but my favorite book outside of my genre is also by McCammon: Boy's Life. (An answer shared by quite a few people in the horror community.) It's a beautiful book that covers pretty much every emotion imaginable. It's funny, sad, suspenseful, scary, exciting...and there are more adventures packed into this novel than most books twice its length. Magical realism at its best. If Boy's Life is cheating, I'll also offer up One Last Thing Before I Go by Jonathan Tropper. It's laugh-out-loud funny from beginning to end, but also deeply heartfelt, and I was constantly in awe of the writing. It's not writing that proclaims, "Look at me! Look at me! I'm brilliant!" but he's a genius at the little details that feel absolutely right. When I read Jonathan Tropper, I feel like I need to go back and take some remedial writing classes. "You really should go to the World Horror Convention, even if you can't afford it." In your book; I Have a Bad Feeling About This, can you tell my Book Nerd community a little about it? It's about a sixteen-year-old boy named Henry who gets sent to Strongwoods Survival Camp, which teaches kids important survival skills and ends with a mock Hunger Games-style competition. Unfortunately, the camp is a dump, the one counselor who works there is moderately insane, and, most inconvenient of all, a trio of deadly gangsters show up to settle a debt. Can Henry and his band of misfits make it through a real survival situation, or did I write a lighthearted comedy novel that ends with the tragic deaths of a bunch of teenagers? You'll have to read it to find out! For those who are unfamiliar with Henry, how would you introduce him? He's a cheerfully nerdy video-game loving kid who is perhaps not the bravest or most physically impressive teenager on the planet. Going to survival camp is not his idea. But he'll stand up for himself and his friends, and he tries his hardest even when he's terrible at something...meaning, most outdoor survival skills, except perhaps archery. I just finished a truly dark and demented horror/comedy novella that starts with a man finding a dead lion in his basement. Even by my standards, this one is weird. In non-horror stuff, I'm currently shopping a mainstream comedy novel called Kumquat, about an introverted guy who goes on an impromptu cross-country road trip with a woman he just met at a film festival. Oh, and she's dying. I'm also working on a sequel to my novel Wolf Hunt, cleverly titled Wolf Hunt 2, and I've started my first venture into urban fantasy. This month filmmaker Gregory "Slime City" Lamberson is shooting a short film based on my script (which was in turn based on my short story) "Gave Up The Ghost," which will be part of the horror anthology film Creepers. Oh, wow...should I be NICE to my character or CRUEL to my character? Fantasies or nightmares? My characters usually suffer a lot in their own books, so the honorable thing to do would be to put them in a completely different kind of book. But then again, the true test of one's spirit is how well they do in a zombie-laden post-apocalyptic wasteland. Hmmm. Maybe I shouldn't get Henry killed--that negatively impacts sequel potential. You know what, I think he could stand to learn more survival skills, so I'm going to introduce Henry to the censored version of Huckleberry Finn. The question I always answer with a lie is "When asked, what's the one question you always answer with a lie?" That's a tough one. Most authors start by imitating their heroes (there's a lot of Douglas Adams and Dave Barry in my early stuff) and then, hopefully, evolve into their own literary voice. I'm not sure how you consciously create a unique voice ("From now on, I no longer attribute dialogue to a specific speaker!") but I think you can help guide what is mostly a natural process by being aware of your influences. I wish I had wacky tales of crazy summer job antics, but really, my most memorable summer job was washing dishes at a fancy restaurant, memorable just because it SUCKED. The owner yelled all the time; meanwhile, his wife was less noisy but a more cold, calculating evil. Honestly, the actual washing of dishes wasn't so bad (except when I occasionally forgot the "assume that every pot and pan you touch is hot" rule) but because the dining experience was so relaxed and luxurious, it didn't occur to me that behind the scenes would be non-stop chaos! I also worked at a game store that nobody ever went to, and for several weeks I was one of those reprehensible people who call you up to ask if you want to renew your magazine subscription. If your dinner was interrupted circa 1989, I deeply apologize. Are you kidding me? I don't even want to tell the waiter that my steak was overcooked! Telling somebody that I don't love them back would be harder, by far. I got a misty-eyed a couple of weeks ago when I saw Philomena. Don't judge me. During the last century? Because I'd much rather be a teenager now, in the world of texting and social media. For an introvert like me, that would be paradise. The Roaring 20's would certainly be cool, but then I'd have to be an adult in a time that's significantly less cool, so I'm going to push it back as far as I can and pick the 90's. The music wouldn't be nearly as good as it was in the 80's, but since I'd be a teenager in the 90's, I'd think that 80's music was lame and 90's music was awesome, so it would all work out. I'm an author. I write about other people having greatest adventures. Of course, answering this question is now making me feel all self-conscious, so maybe I'll rent a car and do a road trip to Area 51 to see if I can solve the aliens mystery once and for all. My website is www.JeffStrand.com. 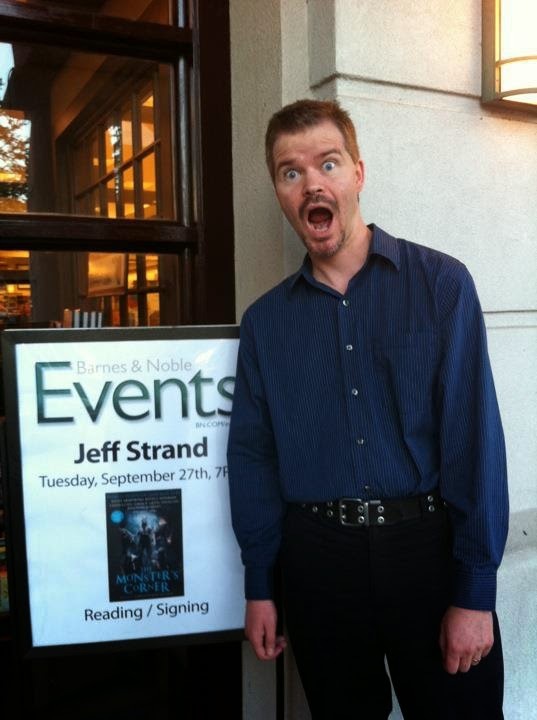 They can follow me on Twitter as JeffStrand, and friend me on Facebook as JeffStrandAuthor. Drinking your own sweat will not save your life. Somebody might have told you that, but they were trying to find out if you'd really do it. Henry Lambert would rather play video games than spend time in the great outdoors--but that doesn't make him a wuss. Skinny nerd? Fine. But wuss is a little harsh. Sadly, his dad doesn't agree. Which is why Henry is being shipped off to Strongwoods Survival Camp. In case of an avalanche, don't despair. You're doomed, but that's a wicked cool death. If you're relying on this book for actual survival tips, you're dead already. 1 Winner will receive a Copy of I Have a Bad Feeling about This by Jeff Strand.